I Breed for Sweet, Friendly Temperament! Love kids, cats,and other dogs! Puppy Pad potty trained when you get them. My Shih-Tzu and Shih-Tzu Cross Breeds make wonderful Family Pets!! Please Make Sure you are ready for a "Long Term Commitment" before you purchase a puppy! *Puppies are sold on a "First Come First Serve" Basis. No holding without a deposit. * No personal checks on puppy pick-ups, O.k for a deposit to Reserve a puppy! * All Puppies are Health Guaranteed for 1-Year on Major Organs. It's Rare that we have any major Health issues with any of our puppies! Healthy Parents = Healthy Pups! 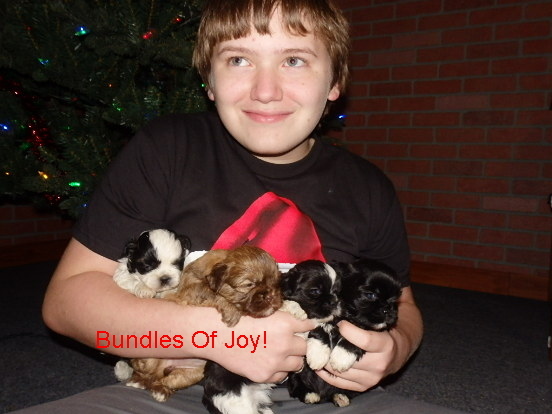 *Small/Tiny pups may have to be held longer due to their Delicate Size. We Selectively breed for Beauty, Family Friendly Temperament, and Strive for Great Health!" Registered Shih Tzu- Little Love Bug! Ready Now! 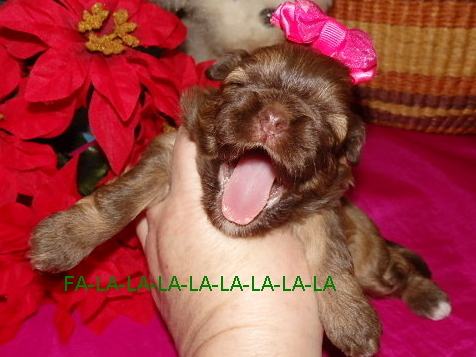 Last pup in litter, Reduced to $750.00 (was 850). Vet Checked "Healthy"!! Wonderful Disposition! Hsfurryfriends@aol.com 302-875-2508 *Please leave message if no answer,grooming right now. 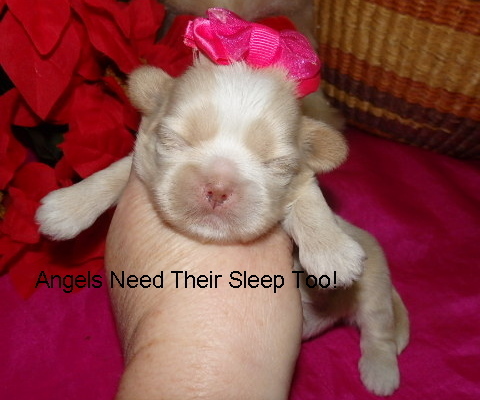 Shih-chons/Zuchons- "Teddy Bears" (Shih Tzu/Bichon Frise Cross)-Hoping to have July/August Ready pups. We named this fella "Nibbles" because he is very Affectionate & Loves to give kisses! He likes to give Love Nibbles on your Chin! 1-Male Ready May 15 th. Gold & white colors. E-mail me for pictures. "Cadbury Cream" is a Luv Bug! Shih Tzu/poodle mix. Very well Socialized in our home!